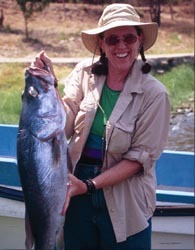 " Pam Chin delight us with her poetic skills in praising one of the most influential contemporary figures in the cichlid world, Ad Konings, in relation to a Lake Tanganyica trip undertook in 2002 "
16 hours on a bloody flat bed truck, cichlidiots chanting " Lake Tanganyika or bust"
Thru the dusty bush, with rain, wind and fire, we just kept thinking " In Ad we trust"
Chin, Pam. (November 12, 2003). "Ode to Ad". Cichlid Room Companion. Retrieved on April 21, 2019, from: https://www.cichlidae.com/article.php?id=202.